In Part I and Part II we examined what the watch owner should do weekly and yearly to help insure the lifelong function of a quartz or mechanical watch. In this section, we examine items to examine and do in the event of a disaster, or whether to decide to have the watch serviced. While wearing and enjoying your watch, be sure to take note of how accurate the watch is as changes in accuracy is a signal whether to have the watch fully serviced or not. For mechanical watch owners, how accurate the watch is varies from watch to watch and brand to brand depending on the quality of the watch. For inexpensive mechanical watches, there might be a two-three minute variance per day. For higher end watches such as Rolex, a second hand might not drift at all on a day-to-day basis. The Swiss certification standard (COSC) is -4 seconds to +6 seconds a day and all Rolex watches are COSC certified. Watches that are COSC certified go through strict testing to insure reliability and time keeping within these standards. Despite certification and precision, every mechanical watch is subject to magnetism, gravity, and motion. An active watch wearer will have different accuracy than the same watch riding on a sedentary watch wearers wrist. Being around strong magnets such as sound speaker magnets or MRI machines will affect the watch’s accuracy. Rolex designed the Milgauss for just this reason to resist magnetic forces that are part of the wearer’s workplace. The job of the watch wearer is to take note of the watch’s accuracy and be on the lookout for any changes. A watch that is 90 seconds slow each day indicated that the watch is reliable, even though it is slow. A watch is slow one day, then fast the next signals that the watch is either of low quality or in need of a service. For mechanical watches that are chronically or consistently slow or fast, there is the poor man’s method of watch regulation. Watches run slow or fast depending on its position. If a watch is slow, at night when in bed, place the watch face up on the night stand and see if it speeds up. A watch can be regulated by leaving it either face up, face down, on it side with crown up or down. Each one of these positions will speed up or slow down a watch. If your mechanical watch was running consistently, and on one day went wildly slow or fast, the watch could have been magnetized. The balance spring, being steel on all but some specialty watches, can be magnetized. Newer watches in the Rolex and Omega line use hairsprings that are made of silicon or special alloy steel that does not get magnetized. Nevertheless, if you find that your watch became magnetized, a watch maker can easily un-magnetize it using a special tool that most watch makers possess. Watchmakers use de-magnetizers to de-magnetize watches on a rare occasion, but more often use it to demagnetize watch screwdrivers that become magnetized from rubbing on steel screws. In addition to monitoring the timing, be sure to listen to the watch when winding it. Listen for the winding barrel to stay silent, as well as feel if there is any new friction in the winding crown. Also, if the watch is an automatic winding watch, listen to the oscillating weight for any new noises. Most Rolex oscillating weights are silent, with the exception of the Daytona, Yachtmaster II, and the Sky Dweller that uses ball bearings in the rotor. Move the watch from side to side to listen for the rotor, and to insure that the rotor is not hitting the caseback. If it is, be sure to have the watch checked by a watchmaker. For quartz watches, many quartz movements will warn the owner that the battery is losing power when the second hand travels in more than one second increments. Consult the brand’s owners manual, but many quartz watches indicate when there is low power so that the owner can have the battery replaced. Replacing watch batteries can be tricky affairs which should be done by an experienced watchmaker (not the mall watch store). With battery replacements, be sure to have the watch’s water resistance checked with a wet or dry pressure tester. If the watchmaker does not have a pressure tester, find one that does as any reputable watch maker has one on the bench. There is much debate whether to have a watch regularly serviced. One camp is of the “if it ain’t broke, don’t fix it,” crowd that has their watches function for years without any service. Other owners see a watch like an automobile that requires tires, maintenance, and oil every set number of miles/kilometers on the car. Depending upon the manufacturer, watch companies recommend watches be serviced every 3 years (IWC) or every 5-7 years (Rolex). There is another group that ignores the manufacturer recommendations, but is not as quite laissez-faire as the leave the watch alone crowd whereby that as soon as the watch slows down, or if there are any new noises, have the watch serviced. The main spring does lose elasticity over the years, as well as pivots become worn and oils deteriorate over time which requires a complete disassembly to re-lubricate and to replace the main spring. An advantage of a manufacturer service is that the watch is refinished using the same machines that originally finished the watch, so the watch returns looking like the first day the watch was purchased. If for some reason the watch is dropped and either the crystal breaks, or the watch runs slow after being dropped, the watch will require an immediate service. Additionally, if the watch was submerged in water and water is floating around inside the case, the watch will require immediate service in order to prevent rust inside the watch. In any of these instances, hack the watch so that the second hand does not travel. Hacking the watch entail pulling on the winding stem to that the watch does not operate. Broken crystal shards, or loose water, and or parts will only increase the damage if the watch is still running. 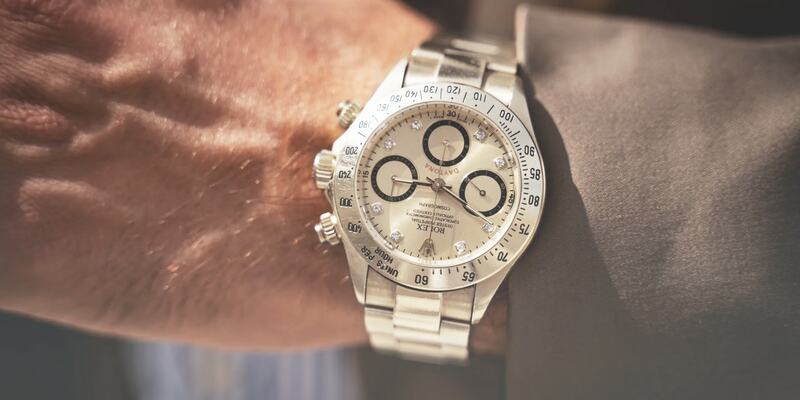 Utilizing all the tips in this series will help you own a watch that will last a lifetime. If there is ever a question on the function of a watch, contact Beckertime at [email protected].